OH-River-SYC CRUSHABULL – Crush x Mogul – Without question OH-River-SYC CRUSHABULL, the long-awaited Genomax new release sire whose lofty Type numbers had show enthusiasts asking about him nearly a year ago, is the biggest news for this mid-round release. He joins Silvio and Sidekick as the breed’s only available bulls above 3200 LPI with at least +17 Conformation. Crushabull has the advantage for both Milk and Dairy Strength over Silvio and Sidekick, while ceding Components and Calving Ease. Crushabull is a Crush son (Doorman x Numero Uno) from a Mogul daughter of OH-River-SYC MRDN Billie EX-91, a Meridian full brother to the top-ranked Type bull Byway. High Type has been well established in this family and expectations are high for Crushabull to deliver numerous show calves in the coming years. He is available in both conventional and sexed form but availability will be quite limited in the early months so communicate well in advance to your WestGen advisor to get yours for that special mating. Progenesis HEISENBERG – Fortune x Jedi – We really like the Fortune daughters we see and Heisenberg is the very first Fortune (Octoberfest x Tango) son to hit the market. High LPI (3454) with pleasing Production (+1726 kg M) and double-digit Type (+11) with no real weaknesses in his profile make him easy to use. Particular strengths include Robot Ready status, great Herd Life (110) and Daughter Fertility (112) numbers and ultra low SCS (2.46). This is a bull we think all producers should incorporate into their next OptiMate. Progenesis MAXIS – Eugenio x Defender – the final and highest LPI (3460) son of Defender Manhattan, this bull is also very balanced with moderate Production (+1420 kg M) and a very pleasing Type profile (+13 Conf) and Health trait numbers that are equally impressive (111 HL, 112 DF & 2.68 SCS). Such an easy bull to like! Siemers DARWIN – Superhero x Silver – A nicely balanced offering, Siemers DARWIN combines high LPI (3419) with good Fat improvement (+93kg) and Excellent Type improvement (+12) that features good teat placement and proper length, correct set of legs with excellent heel depth and wide sloping rumps. Darwin, a good overall Rump improver, gains his double-digit Type with moderate size and stature numbers as well. He is as balanced a bull as you’ll find and is an ideal option for Robot settings with strong Milking Temperament, Milking Speed and Mastitis Resistance ratings too. Aardema DRIFTER – Expander x Kingboy – If constructing pedigrees can still be considered an art in this era of science, Aardema DRIFTER provides some insight on how to do it well with complimentary matings. Two McCutchen sons (High Octane and Kingboy) mated to Numero Uno dams lead to the high Type sire Expander and the highly scored Daquiry VG-87 2-yr-old (in both Canada and the US). Mated together they lead to the ultra-high Type sire Drifter (+19). From a Type perspective the matings could not have worked better. One might have hoped for more of Uno’s component influence to have come through, but on the other hand, Drifter does offer over 1000 kg of milk improvement. For sure Drifter is a specialty sire. He is an ideal mating for the many moderate sized Mogul pedigrees that could benefit from being stretched out a bit. No doubt they will be fancy! 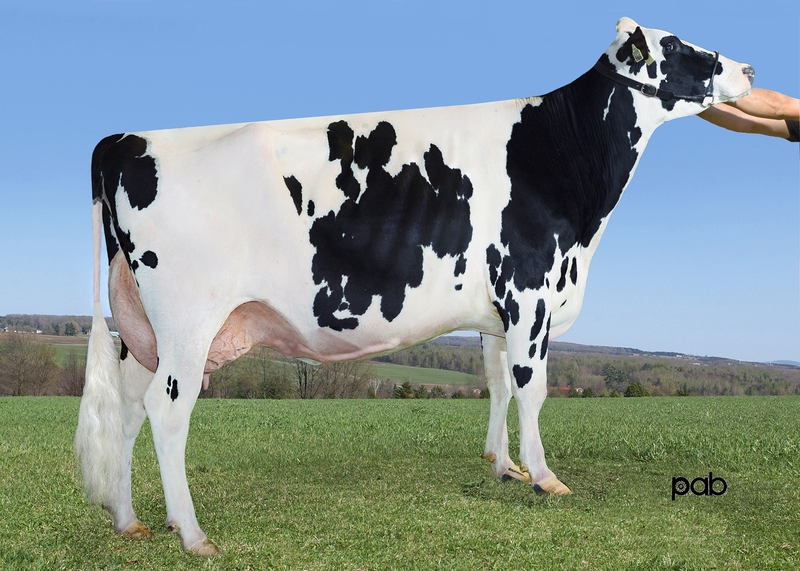 Progenesis TOPNOTCH – Jedi x Lottomax – Heavily used as a Semex mating sire, now TOPNOTCH is available for general use in both conventional and sexed packages. Still the top-rated TPI option available from Semex (2823), clearly Topnotch will appeal most to customers used to making their selections based on US rankings. Topnotch’s Type numbers also appear more flattering on the US scale (+2.38 PTAT, +2.55UDC). Whether you select based on Canadian or US numbers, Topnotch IS siring some of the top young calves just receiving their genomic test scores. It’s notable that Topnotch is an excellent source for adding teat length (4L), injecting milk yield (+2113kg) while boosting Herdlife (111), improving mastitis resistance (105) and Milking Temperament (111). The world has been waiting for this bull – Canadian producers have priority access. Take full advantage! 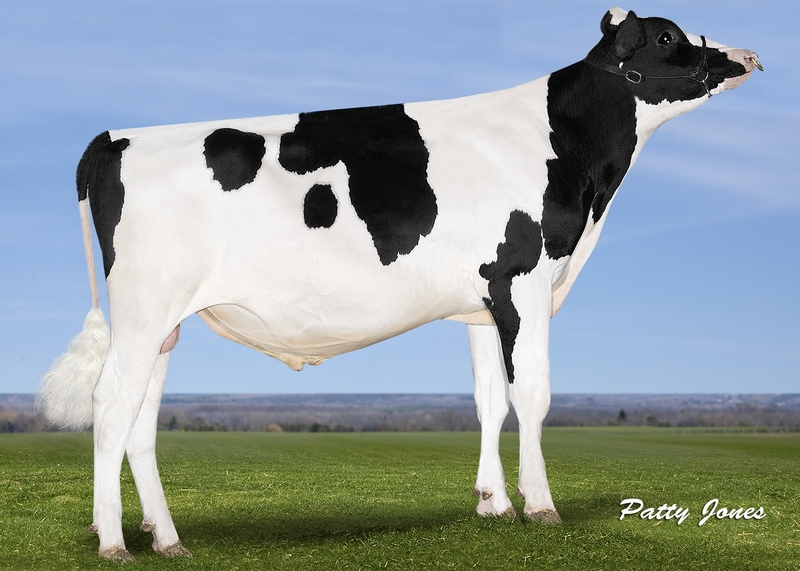 Progenesis KENDAL – Jacoby x High Octane – Created by combining three top Type sources: Doorman, Gold Chip and High Octane, KENDAL’s high Conformation rating (+17) should not be a surprise. He is Jacoby’s highest LPI son and offers improved production numbers compared to his sire. Kendal is more than a Type improver. His extreme 110 rating for Mastitis Resistance also stands out. Kendal joins Silvio, Rummy and Sidekick as our best for high-Type A2A2 options. Progenesis MALAWI – Duke x Megasire – With his 3291 LPI and A2A2 status, MALAWI is a useful bull that provides a nice balance of Production and Type improvement. Rated +1774 kg M Malawi offers strong Milk yield improvement and positives for both fat and protein deviation. His solid ratings for Type (+12 Conf, +11 Mammary, +10 F&L) lend further credulity. While he just misses gaining the Robot Ready™ designation he is expected to do a nice job on teat length just the same. Expect wide chested daughters with a will to milk. Siemers BRONZE – Merjack x Bookem – Developed from the same family as Darwin, Bronze delivers high Type with strong component deviations from a differently constructed pedigree. His +14 Conformation is derived from a nice balance of udder improvement (+13), strong heel depth (+10) and over all Rump improvement (+5). It’s hard to go wrong with a bull that is affordably priced and can still deliver fancy calves. Progenesis POSITIVE – Duke x Rubicon – There are a lot of positives to highlight on POSITIVE. Extreme production (201lbs of combined fat & protein) with double digit Type is just the start. In fact, there are just a handful of bulls that can boast 110 kgs F and +10 Type – Positive is the only one that can and offer A2A2 status as well. But there is more: Positive does a nice job on Rump improvement, widening and lowering pins and strengthening loins. 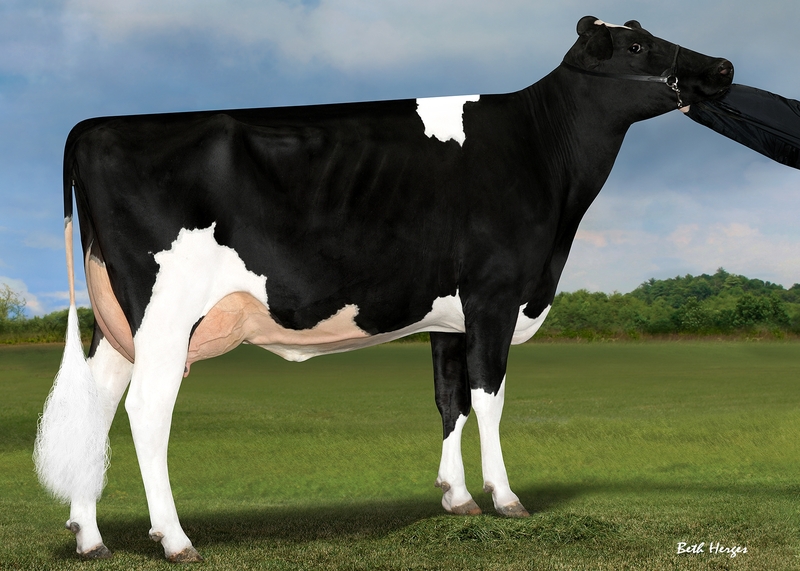 Positive at 2807 TPI is also among Semex’ top offerings based on his US numbers. That’s a lot of Positives! Progenesis SHARING – Franchise x Spring – It is always positive when a bull enters the fray with a slightly different pedigree than others. SHARING has lots of bulls that are familiar to us in his pedigree, but his sire OCD Rodgers Franchise is decidedly different. Better yet, he has something unique to offer, particularly on health traits. Where do you find a bull with DGVs for Herdlife at 118 and Daughter Fertility at 114? Production and Type numbers may be moderate by comparison, but if you are looking to improve health traits in your herd, whether you select on TPI (2785) or LPI (3356), this is a must use bull!